Mr. Cadwallader is a member of the firm’s Litigation section. His practice focuses on helping individuals and businesses resolve disputes and solve problems in the areas of bankruptcy, creditor’s rights and commercial litigation. 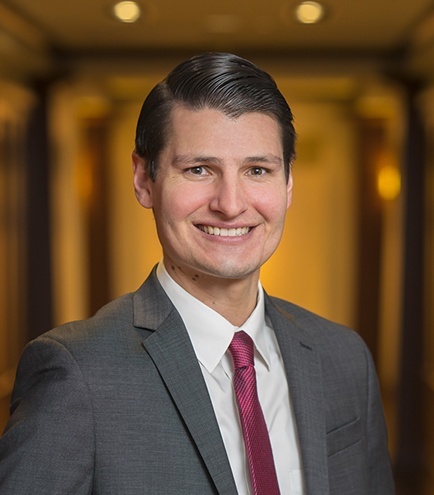 Prior to joining Kirton McConkie, Mr. Cadwallader completed a 1-year clerkship for the Honorable Kevin R. Anderson with the United States Bankruptcy Court for the District of Utah. Before clerking, he represented the Chapter 13 Trustee in Salt Lake City, Utah for over three years. In re Petersen, 561 B.R. 788 (Bankr. D. Utah 2016). In re Cannon, 521 B.R. 686 (D. Utah 2014).